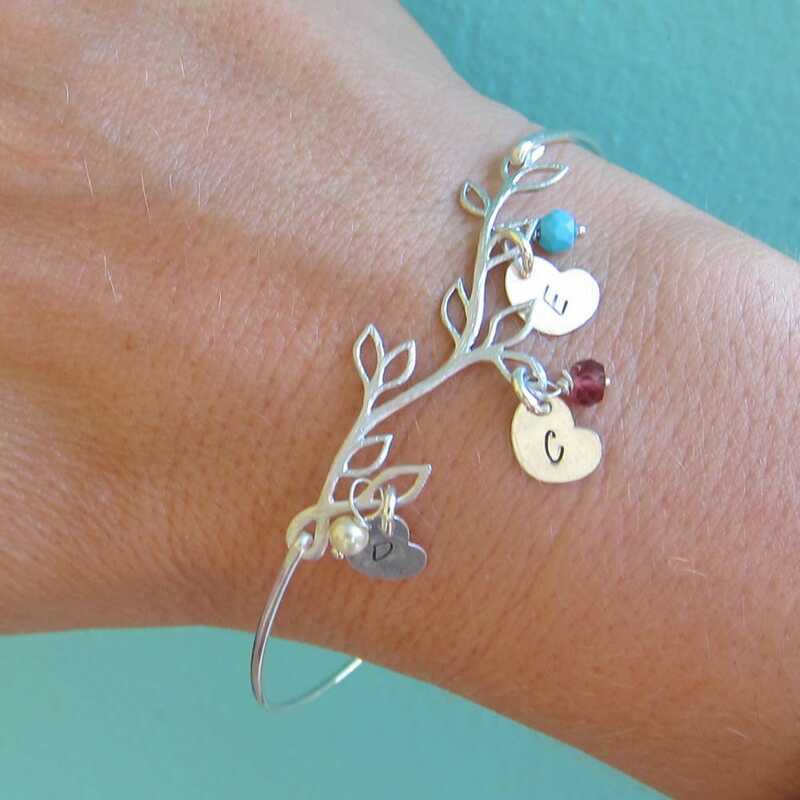 Personalize your family tree bracelet with the initials and birthstones of your children or grandchildren, you & spouse, grandma & grandpa. 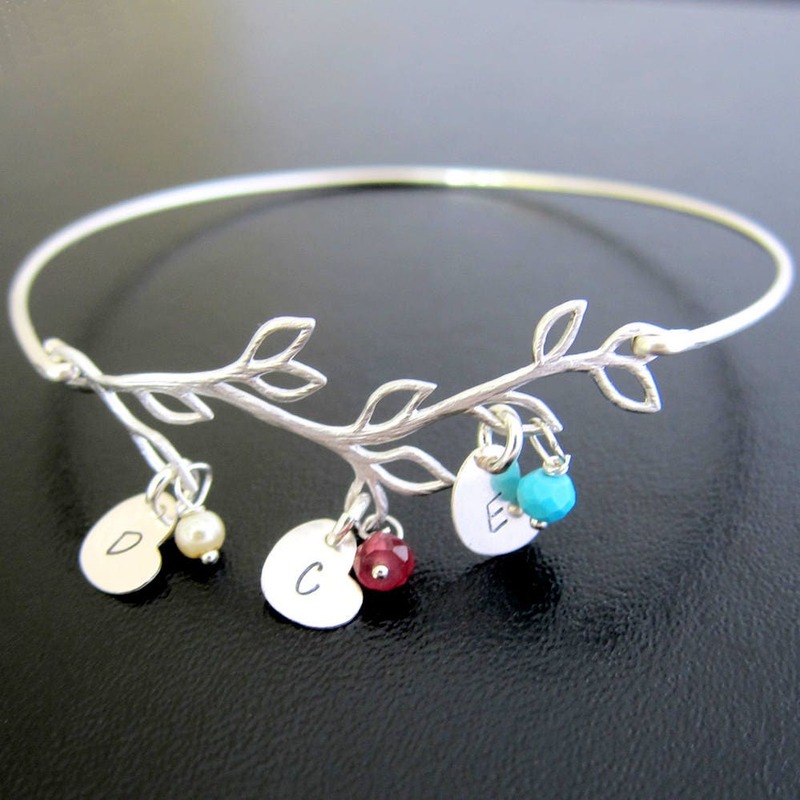 I can fit up to 5 initials + 5 birthstones on this bracelet. Please mention initials and birthstone months needed in "notes" during checkout. 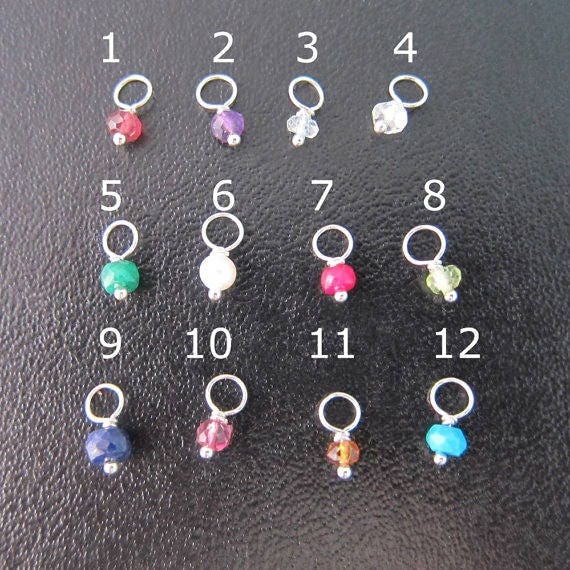 See 3rd picture for birthstone charms. I can fit couple stamps on a heart such as D+B or K&J but not 3 initial monograms. Select bangle band from the following finishes; brass or 14k gold filled to be paired with 14k gold filled initial charms, and a gold plated branch-- silver filled or sterling silver bangle band to be paired with sterling silver initial charms, and a silver plated branch-- 14k rose gold filled bangle band to be paired with 14k rose gold filled initial charms, and a rose gold plated branch... And of course the birthstones. Makes a great gift for mom, sister, grandma, or daughter. 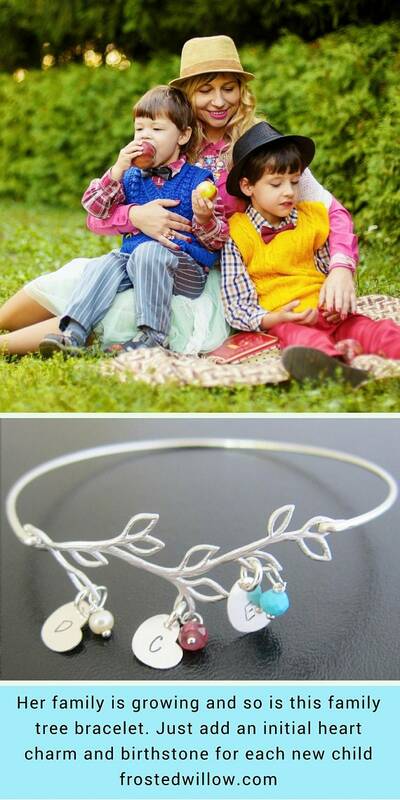 This personalized family tree jewelry created and hand crafted with great care and love for you and yours. All of my items including this family jewelry are special handmade creations that are based on original Frosted Willow bangle bracelet designs & concepts. Dress up your Bangle Bracelet™ - remember to include the initials and birthstones you want in "notes to seller" during checkout.